When Toy Story hit theaters in 1995, it was clear that the hilarious Rex, Andy's neurotic dinosaur toy, was a big hit among movie goers. It didn't take long for fans of the film (such as myself) to want their very own Rex toy to bring home and I still vividly remember getting mine around Christmas time of that year. 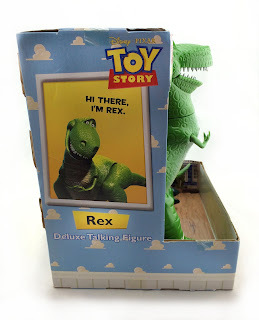 At this point, many Rex toys have been released over the years and this is the third [full size] version of the character that I own. 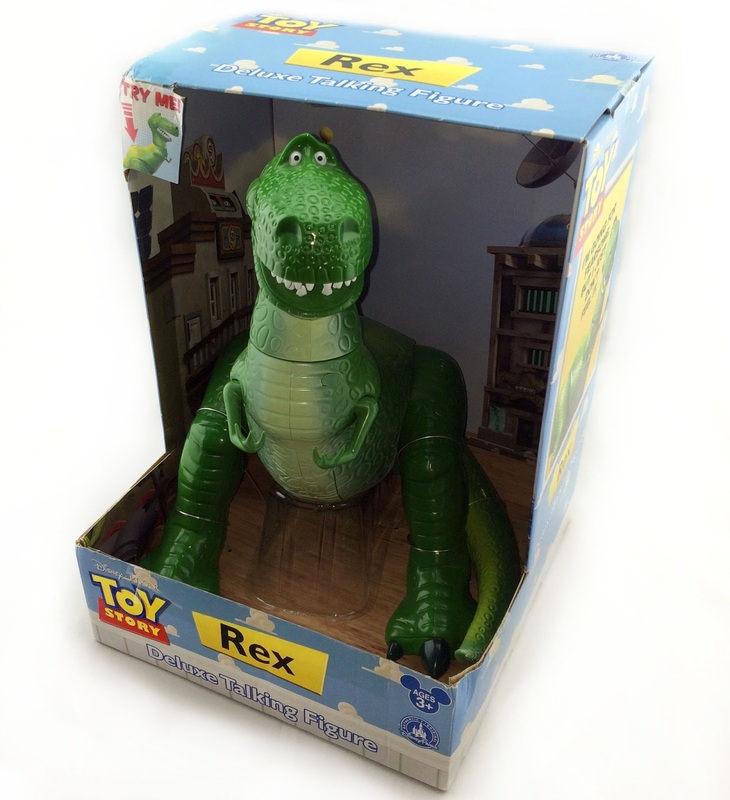 The very first Rex toy I got was the original '95 Thinkway Toys release (which I still have, seen HERE). 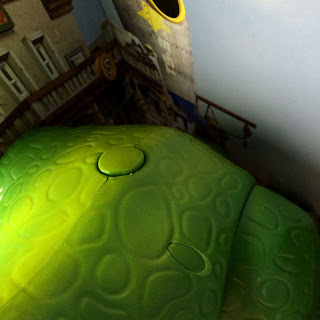 Then in 2010, I of course couldn't resist the new Thinkway Toys "Toy Story Collection" interactive replica version as well (seen HERE). That was a must. Now, after having bought two previous versions, you may be wondering...why a third? When this version of Rex was released at the Disney Store and Disney Parks just a couple years back, it actually really stood out to me. 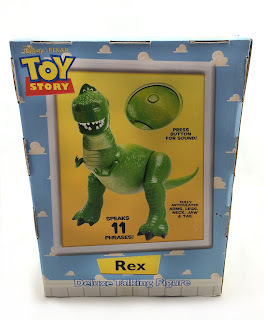 All the versions of Rex up to that point had all been made from a softer plastic with a matte finish and were a lighter green color; this always kind of bothered me since Rex in the films looks to be made from a hard, cheap, shiny plastic. When I saw this one though, I thought "ok now that's how Rex should look." Yes it's cheaper (with a $25 price tag) and the quality is below that of the previous Thinkway versions...but as weird as it is to say, that's actually what I like about it! Honestly, it's my favorite Rex to date as far as looks and feel are concerned. I feel it is the most film accurate. 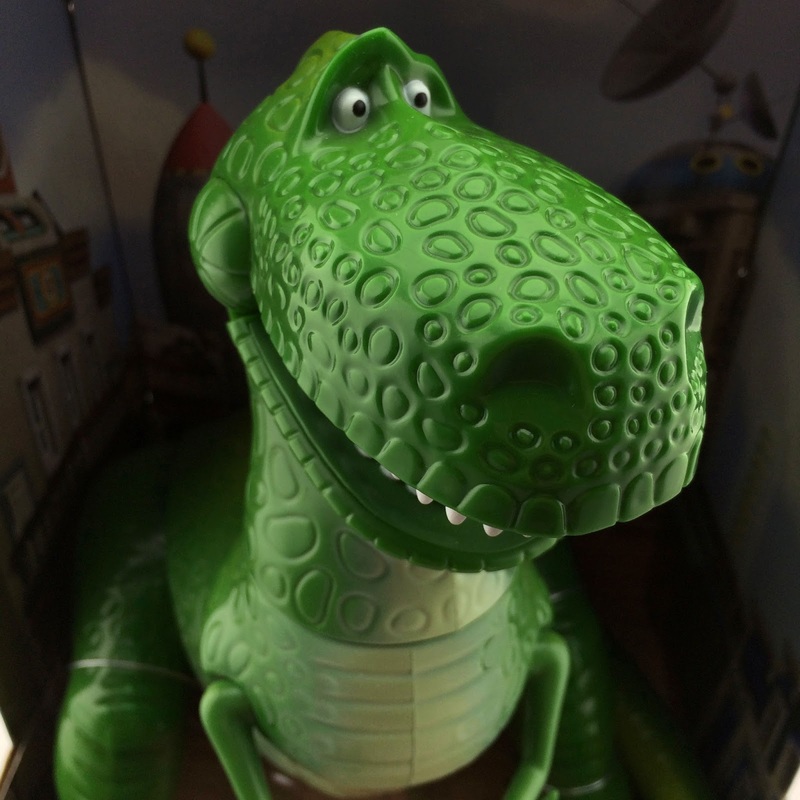 I had been thinking about getting this one for a while, but it was hard to justify getting yet another Rex toy; but when I saw it at Disneyland this past month, I decided to just go for it. Since it has been sold out at the Disney Store for some time, I felt this was my chance. 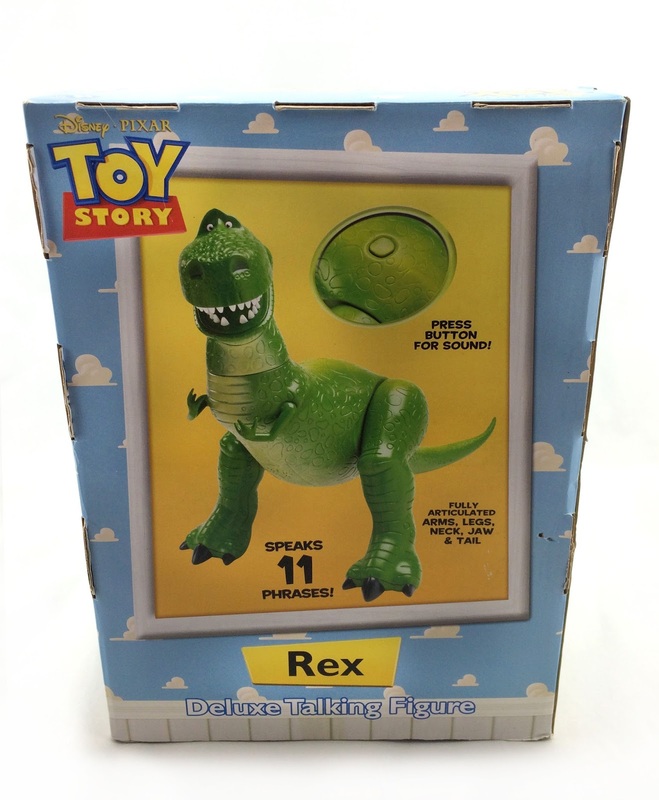 Like most Rex toys out there, this one is electronic and speaks 11 phrases from the film (with the push of the button on his back). Pushing the button also makes his jaw and little arms move up and down as well. Also, just like like in the film, his tail is removable. A lot of reviews of this have said, since the quality is on the cheaper side, that this toy is prone to breaking easily. I haven't experienced that myself obviously, but my two year old nephew (who's pretty rough with his toys) still plays with his daily without any problems. However, be warned if you're giving this to very young kids. 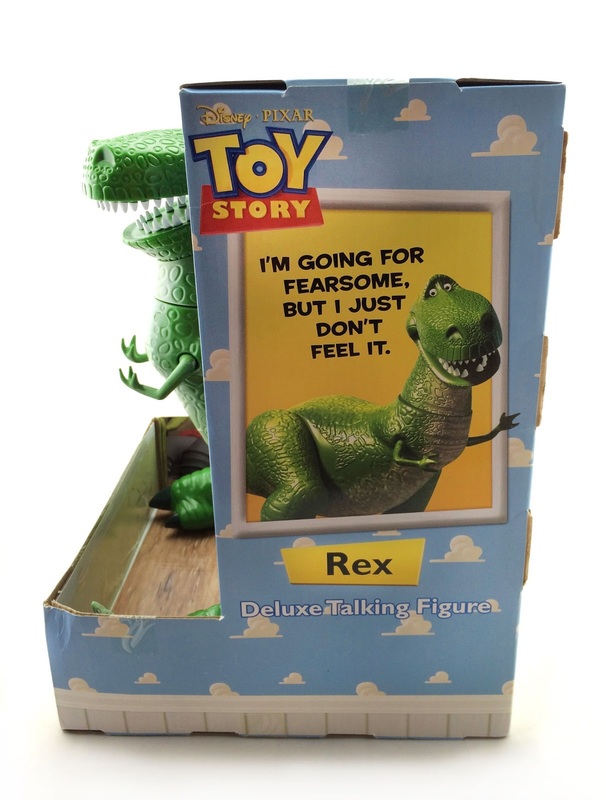 If you're an adult collector who has also just been looking for a more film accurate Rex to display, then this is the one for you! Like I mentioned, it is currently sold out at the DisneyStore.com, but it is available online from third party sellers such as eBay or Amazon and at the Disney Parks/Downtown Disney area. Please let me know if you have any questions or comments and thanks so much for dropping by!